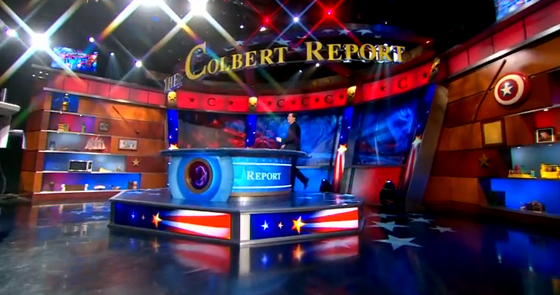 When “The Colbert Report” debuted in HD January 4, one technology helped take the set’s displays to a whole new level, Christie MicroTiles. MicroTiles are a relatively new product that can be arranged in any configuration to create unique video displays in various shapes and sizes. The redesigned “Colbert” studio features 41 MicroTiles arranged in three horizontal displays and four angled vertical columns. 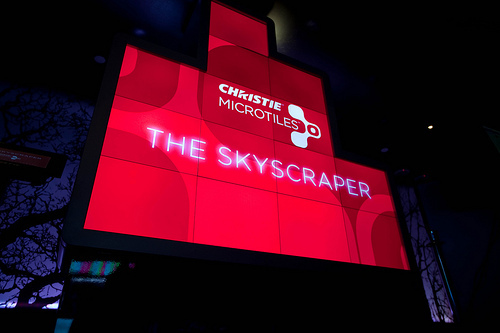 “The best part about being the first show to use the Christie MicroTiles is that we are the first. We love being first,” said Meredith Bennett Co-Executive Producer, The Colbert Report. Videofilm Systems, Inc. worked with designer Jack Morton to create the unique MicroTiles pattern for The Colbert Report. MicroTiles are designed to fit anytime nearly any studio space and, “the possibilities are endless in terms of what they can do. The added advantage is that HiDef cameras love MicroTiles. 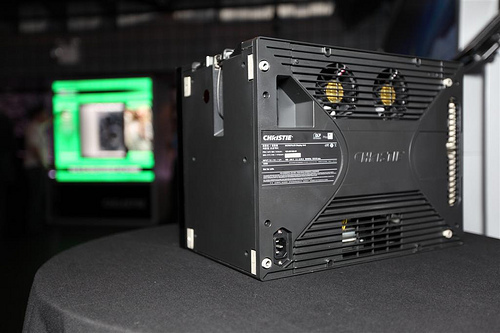 They achieve 115% NTSC broadcast standard and PAL color gamut – no other display can do this,” said Mitch Rosenberg, Director of Sales, Visual Environments Display Systems at Christie.